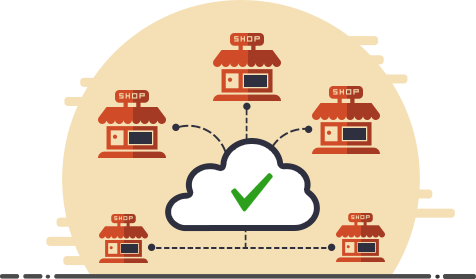 Centralized inventory and sales data for automatic sharing between multi-location retail stores. Synchronize your sales, accounting, finance, and operational data using POS on the cloud. With your application data hosted on the cloud, you get a centralized control and monitoring access. Our solutions are compatible with all leading POS hardware for a seamless retail experience. 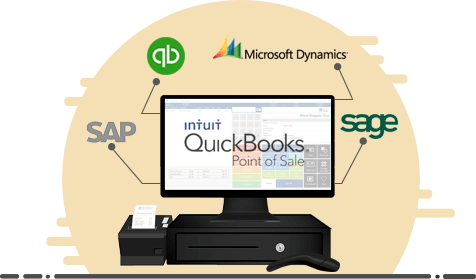 QuickBooks POS masters at keeping various departments at a local retail/sales store organized. Ace Cloud Hosting adds potential to the software by taking it to the remote server. Your remotely located sales stores, connected over ACE’s servers, experience high-performance POS processing. For businesses, where the sales setup is located at a physical distance from the inventory or operations department, cloud hosting maintains an automatic update of the situation to keep various parties on the same page. 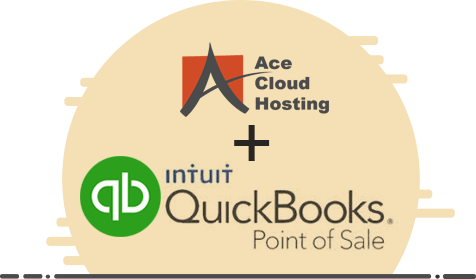 QuickBooks POS with Ace Cloud Hosting streamlines your business growth. When you open a new store or add a new register, we can deliver new POS accounts within minutes. Along with that, our scalable plans ensure that your team can choose the hosting resources for your changing needs. So, your growing business finds the right solution with Ace Cloud Hosting. Ace Cloud Hosting is an award-winning hosting service provider in the accounting industry. We deploy perfection in every possible way – speed, performance, security, and availability. To add more finesse with that, we have a team of experts available round the clock at your assistance. More than words, we want our services to speak for us. You can request a free demo of the services to experience fully-featured QuickBooks POS hosting without any obligation. Our cloud solutions are compatible for hosting any desktop-based application. For all your app-integration requirements with hosted QBPOS desktop, ACE is all your team needs. Be it accounting application like QuickBooks or any third-party card payment app, hosting on our servers will streamline the integration for your every department and centralize the business information for you and that too without any performance issue. ACE gives you all the options to test our services and trust before you pay anything. That’s why we offer a 10-days free trial, in which you can enjoy fully-featured QuickBooks POS hosting without any obligation. 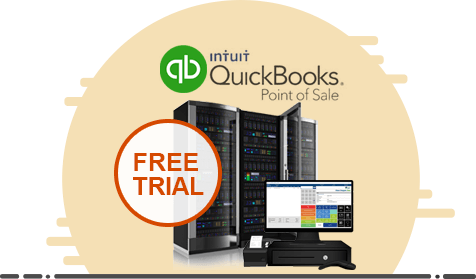 With the free trial, you can access QuickBooks POS Online and work on all the functionalities that are available in the desktop version. Even with the free trial, you can request our support experts to set up the register, migrate the data, or for other hosting support issues. 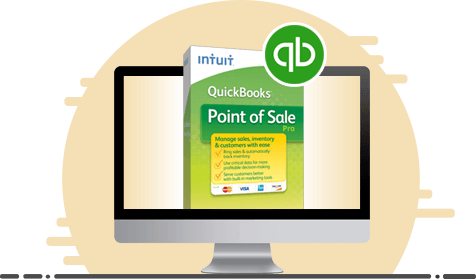 Carry your sales data with you everywhere as you can access hosted QuickBooks POS using any internet-connected device, such as – laptop, smartphone, tablets, etc. With end-to-end encryption enabled to protect your data in the cloud, we ensure that only authorized users can access and work on your QuickBooks Point of Sale application. Working on our superfast SSD servers delivers a real-time experience as if the processes are taking place on the local device even when multiple users are active. With QuickBooks POS Online service, connect all your retail stores on the cloud network to share the sales and inventory data between them in a hassle-free manner. With a guaranteed 99.999% uptime available for application hosting, we keep your QuickBooks POS application and data available for you without any interruptions. We have a dedicated team of certified experts working 24x7x365 to solve any queries that you may face while working with applications. Reach us via chat, email or phone.